Real Estate Photography is getting top rankings in every list on “how to make money as a photographer.” The real estate market is currently booming, and the demand for real estate photography is on the rise. The purpose of real estate photography is to sell houses. 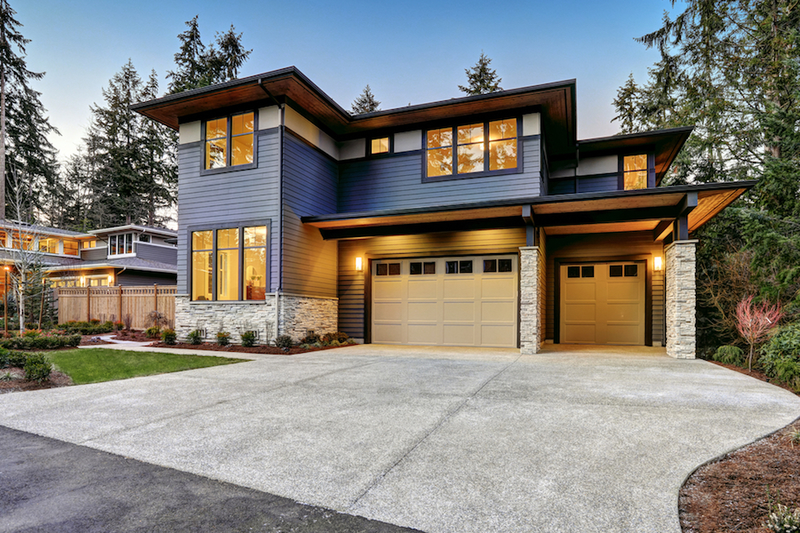 Realtors are looking for unique styles that will catch the eye of prospects in a sea of competing photography for real estate. While this is not easy money, but for a photographer willing to learn, it can turn out to be a gold mine. We have put together a series of real estate photography tips gathered from top photographers that would help you shoot images that sell homes and get ahead of the game. 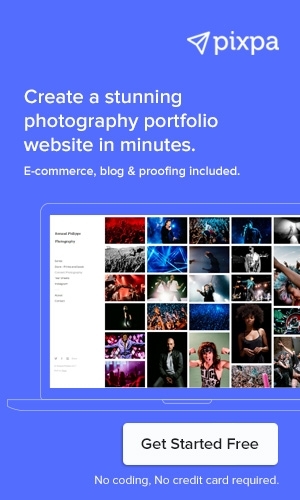 Create your professional real estate photography portfolio website on Pixpa. No coding needed. Start your free trial now. For beginners looking to take up professional real estate photography, the best path to start taking excellent real estate photos is to study successful examples. Study and analyze real estate photographs. What grabs your attention and why? Look at the angles and lighting used in the images. 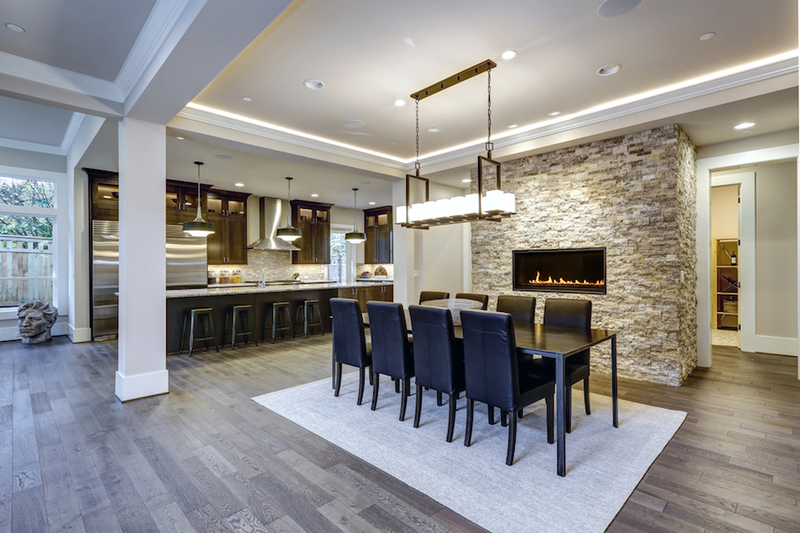 There are plenty of websites like Houzz.com which have stunning real estate photos that you can favorite and refer to from time to time. Real estate photography is just like any other stream of photography - you need to approach it creatively and infuse it with character, a unique perspective, and a fresh approach. Let the property that you are shooting guide you on the best way to photograph it. Don't follow a set pattern or else you will end up with similar looking shots time after time. You’ll eventually want an advanced camera system that allows for multiple lenses, a wireless trigger or trigger app, and lighting upgrades. Do your research well before you zero in on the best camera for real estate photography. Full-frame cameras are the right choice as they cover the most area and produce the highest quality images. Focus on the sensor size of the camera, rather than megapixels, as large sensor size would give you better quality real estate images even under low light conditions. Almost all professional real estate photographers would tell you that wide-angle lenses are the best lens for real estate photography. A wide-angle lens will create a sense of depth and emphasize the space of a room. Wide-angle shots depict depth and detail. For a full frame sensor camera, it is advisable to use a wide-angle lens of around 16-35 mm. Your job as a real estate photographer is to take real estate pictures that represent the property in an aesthetic, appealing and authentic manner. Stability garners quality. Most real estate photographs are taken in natural light for exteriors or limited lighting available in the room. Using a tripod naturally results in sharper images and steadiness for slower shutter speeds. A tripod also helps you maintain a horizontal plane and get clean, vertical lines. Experiment with different heights using your tripod - the view of the room can change quite a lot at different heights. Pick the best angle after experimenting with different heights (above the head level, eye level, chest level, table level). If you are planning to shoot bracketed images for post-processing blending, it's essential to photograph using a tripod. Space and natural light sell homes. Each space needs to be represented accurately and expressively. This technique will come with experience and study. Every wall does not need to be in a successful photo. Zoom changes the feel of the room drastically. Shooting wide creates an illusion of larger space. Let more light into your camera. When mastered, shooting to the right can make a room look brighter. Many novice real estate photographers begin with images that are too dark. This option may alleviate that issue. Full-sized tripods come equipped with horizontal and vertical adjustments. By taking shots at different camera heights, you would get varying angles and perspectives. With experience, you would figure out which camera height is best for which space. Realtors and photographers agree, keep vertical edges straight. Wall lines must be straight up and down. A level can be placed in the hot shoe to level the camera to the room accurately. This method can result in objects like furniture being cutoff. Lowering the tripod is the solution. A Tilt-Shift Lens can help you alleviate this issue. The Lens Correction Tool in Photoshop and level options in Lightroom can also be used in post-production to correct any converging vertical lines. Interior shots should use lighting to make the viewer’s eye flow through the room. Figure out an angle in the room that captures the best perspective of the room and highlights the space and depth of the room. Correct use of lighting can create highlights and shadows to enhance detail. Window light and room lights may not be enough. Try turning on every light in the house. A strobe is another option for constant light. Outdoor lighting mixed with interior lights often conflict color balance. If necessary and time permits, color match interior lights to the outside color. Hone your skills in Photoshop color correction. Altering shutter speeds will only affect constant light sources. A flash is an inconstant light. Multi-flash wireless systems enable repositioning for best results. A removable flash allows the “bouncing” of light off the ceiling or wall. Not the best results, but workable. Small, well-lit rooms and closets require a single light source. 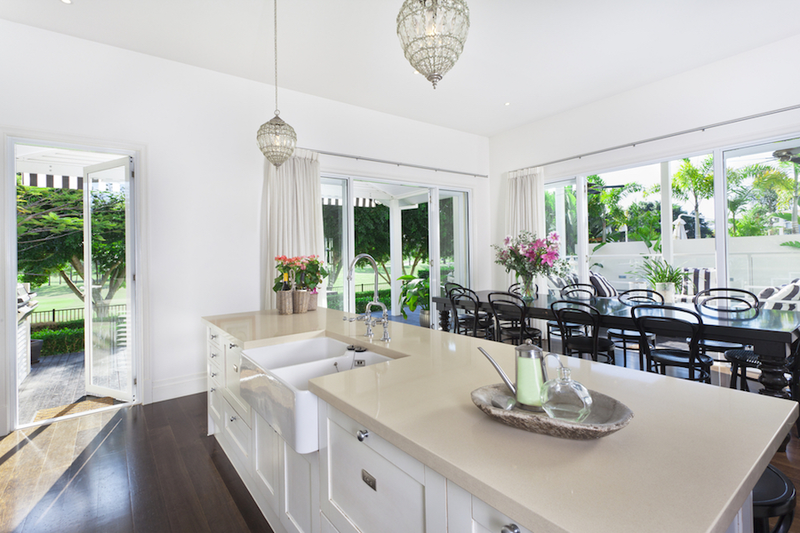 Large areas like family rooms or kitchens can significantly benefit from more. An inexpensive light stand (or two) enables you to correctly position lighting. This small investment will allow you to produce more professional photography, especially in hallways, stairwells, etc. Unless the view is astounding, a photo that captures the view from the window is unnecessary. Overexposing the windows is sometimes an advantage to bring focus to the room itself. Today’s real estate sales begin online. 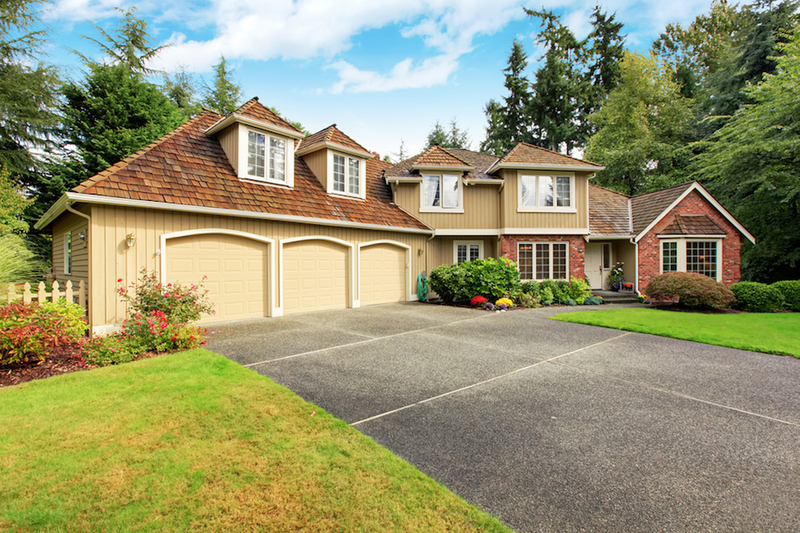 An exterior photo is the first thing a prospect sees. It must grasp their attention. Be sure to take your time with this important image. 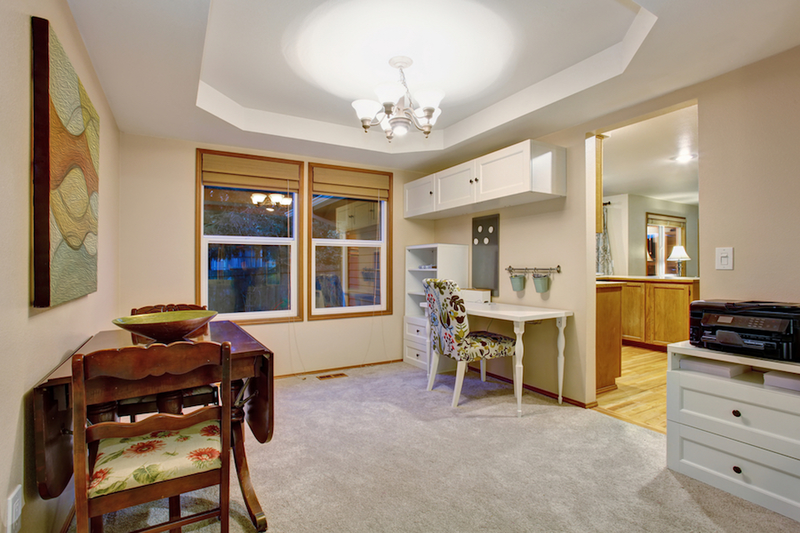 A real estate shoot comes with deadlines that may not allow time for proper setup. Timing is everything. Do not shoot in harsh sunlight where shadows would be very strong. If a cloudy day is unavailable, sunset is your best bet. When possible, plan exterior shoots at dusk. The natural light around sundown can produce dramatic results; noted as the best for selling real estate. Turn on all the lights in the house. At sunset, the remaining natural light balances the house lights. To be sure that the image meets your expectations, shoot many shots with varied exposures. When dusk is not an option, the sun is a problem. Photograph with your back to the sun. Keep in mind that bright, white skies lessen the impact of images. Exterior shots produce better results from greater heights. At times a tripod’s limitations are not high enough; 6 to 12 feet is recommended. A painter’s pole is often used as a tripod extension. The pole must be secured to ensure your camera is safe. Stability is the priority. Discuss a flexible schedule with your realtor. Plan for times with optimum light. Consider the weather. Success may require a second visit. A successful shoot will take time; larger houses take longer. You need to get the hang of real estate photography pricing to cover your time. Remain competitive, even if it takes you longer than a more experienced competitor. Between you and the realtor, the following steps can be taken to ensure a successful shoot. Clear the refrigerator of dish towels, magnets, etc. Avoid including any of the current resident’s personal effects in your photographs, such as family photos, pets, belongings, knick-knacks etc. Analyze each room for its best feature/selling point, (i.e., natural light, spaciousness, private nook). Focus on the selling point. Open houses are staged with a neutral color pallet for wide-ranging appeal. Although contradictory, in real estate photography it’s best to add a splash of bright color. Colorful yet tasteful artwork, lively pillows or a throw help photos pop and grab online searcher’s attention. Don’t click dull, one-dimensional images by standing in the corner of all rooms. Explore all the angles. Compose your shots to create interest and drama by focussing on the unique elements of the house. Your real estate photography shoot should cover the house in its entirety and tell a full story. By looking at your shots, prospective buyers should be able to get a full image of the house, its character, and all the spaces. With advances in technology, many realtors now request a Virtual Tour or 360-degree tour. As a photographer, it's easy for you to learn and upgrade your skills to offer such value-added services to gain a competitive advantage. Aerial images have become an expected addition when marketing substantial properties. An aerial view of a larger property can wow the competition. Drones have made aerial real estate photography affordable. Real estate drone photography is not only a viable option in marketing today; it’s becoming a necessity. Inexpensive drones are available that both record and take still images. Obviously, the more expensive the drone, the better media quality. Higher priced drones are also more rugged to withstand the elements, like the wind. 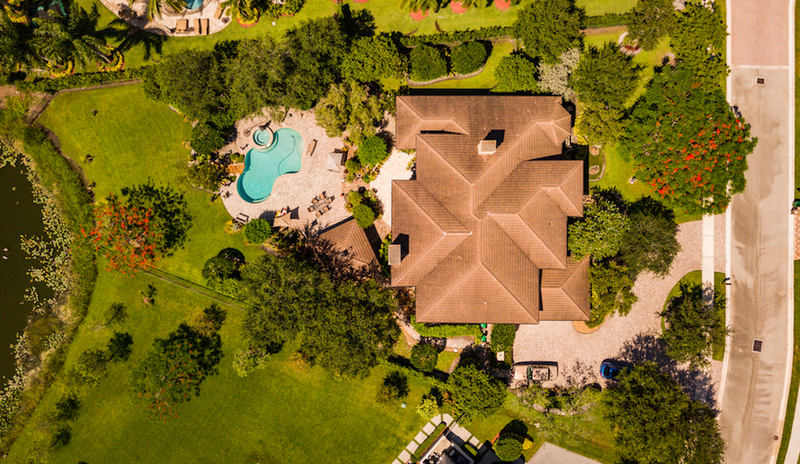 You don’t have to be a pilot to consider adding real estate drone photography to your list of services. Outsourcing is an option but, if you can play a video game, you can probably fly a drone. The visual quality of the final results of your Real estate photography shoot can gain a lot from using appropriate post-production techniques. You do however have to plan upfront while you are shooting to use techniques like blending images. In cases like a floor creating a glare, two exposures are necessary. One shot will be set to the best exposure for the room; another for the floor. These two images can be combined in the editing process for a perfect outcome. For two exact positions, your tripod is your best friend. Flambient (AKA “A Kiss of Flash"): the combining of flash and ambient light. The premise involves shooting an ambient exposed image, then shooting a flash image. For these purposes, the flash can be bounced off a wall or ceiling. In Photoshop the two images are combined to create the perfect flambient image. This process allows for contrast and color alterations. Again, use a tripod. HDR is a photo technique that reproduces a dynamic range of luminosity. HDR snaps several exposures of an image then combines them for rich results with dynamic shades and a very polished product. Repeat: A tripod is a must for HDR. Photography is art, but also a business. Contracts eliminate unforeseen issues. A clear, legal document is the best way to avoid misunderstandings. 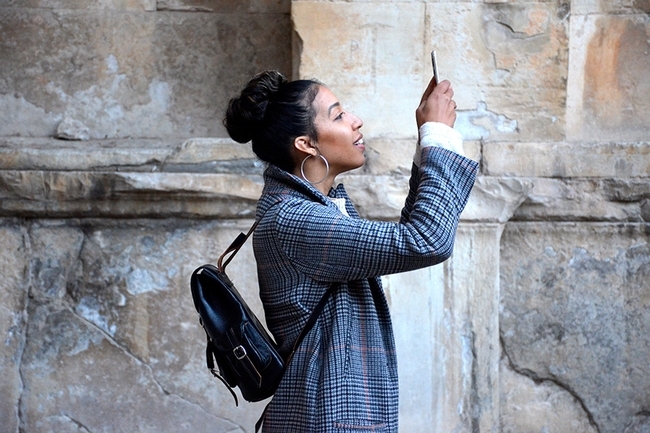 Will you create a virtual tour? If yes, give details. Also, include your deliverables and payment terms. You are entering a stranger’s home. Consider their belongings: monetary value, sentimental value. Protect yourself. The best place to start researching real estate photography pricing is with competitors. Examine their pricing and services. Advanced services like real estate drone photography will increase prices. Consider your investment: Hardware (camera, lens, tripod, drone, etc.) and Software (or outsourcing). A service menu is a great way to itemize pricing. Make sure you plan for the slow season as well. Remember, just like any other photography field, the real estate photography market is also saturated. Price your services competitively, however, do not undercut your competition by a considerable margin as you may end up with an unsustainable business and a cheap/ low-quality tag. Real estate photography prices depend on the assignment. You can shoot a house for a realtor for $200-300 or do an architecture shoot for a real estate magazine for $2000. The quality of your work, relationships, networking and client references are a sure shot way to move upwards and become successful as a real estate photographer. 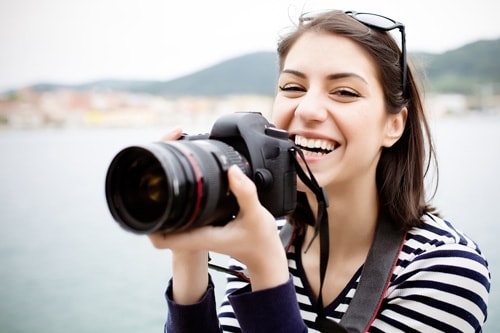 Check out this comprehensive photography pricing guide. You need to decide where your time is best spent. Even photographers skilled in state-of-the-art software should consider the time it takes to edit an entire shoot. Photoshop and Lightroom offer presets that make the editing process easier. But more advanced editing may be necessary to stand out among competitors. Hiring an editor specializing in real estate photography is wise. Successful Realtors are movers needing everything done quickly. Communicate with your agent for accurate deadlines. The faster the better will always be, the case. The project is only complete when you deliver the digital files to your client. Agents will typically request both web ready and high-resolution print images in specific sizes and formats. Using an online client proofing service can streamline and speed-up the process of sharing the images with your client to get feedback and the final selection of images. 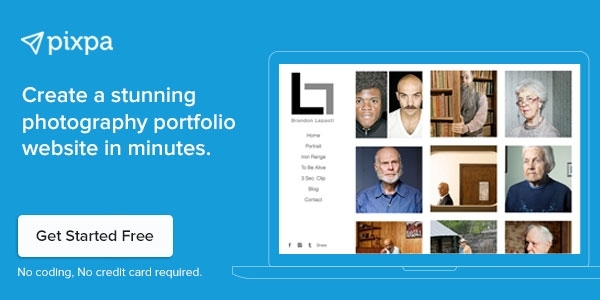 Pixpa offers an integrated client proofing platform along with your portfolio website that makes the task of sharing, proofing, and selling images to your clients easy. Sign up for a free trial now. 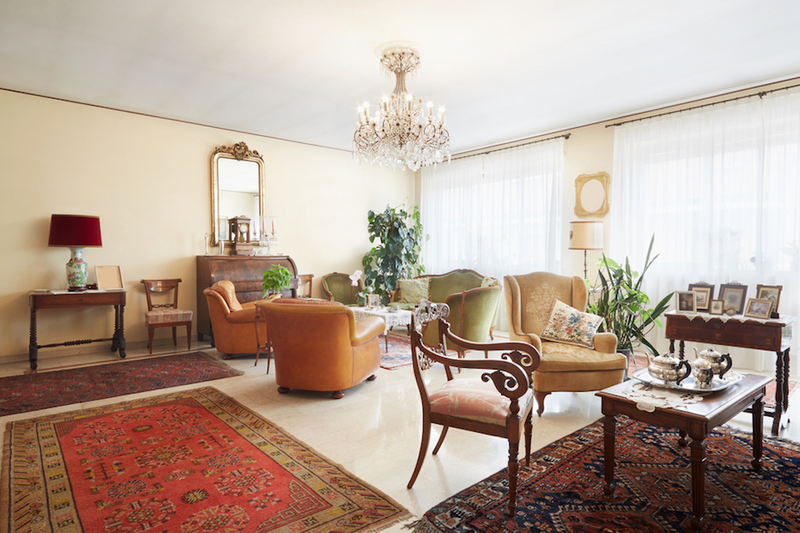 Real Estate Photography, just like any other profession, has cut-throat competition and yet space for new entrants who can deliver exceptional quality. While you can certainly choose to specialize in real estate photography, it is a great add-on genre for many photographers who usually practice other areas such as weddings, personal, portrait or baby photography. Always remember that your job is to capture the property you are shooting in a way that makes it sell instantly. 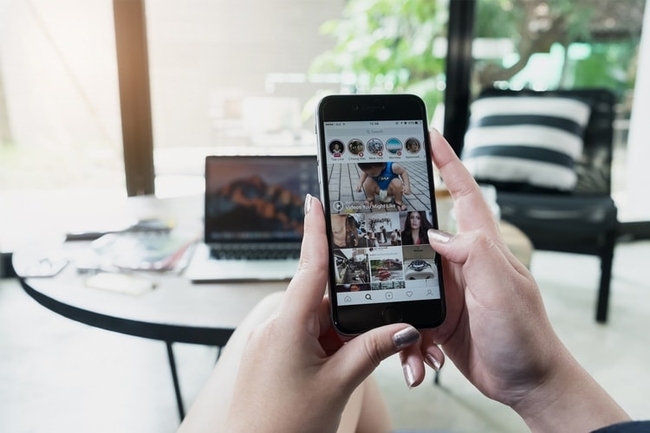 If you can get that knack of clicking images that sell the house, you are on your way to becoming a successful professional real estate photographer. 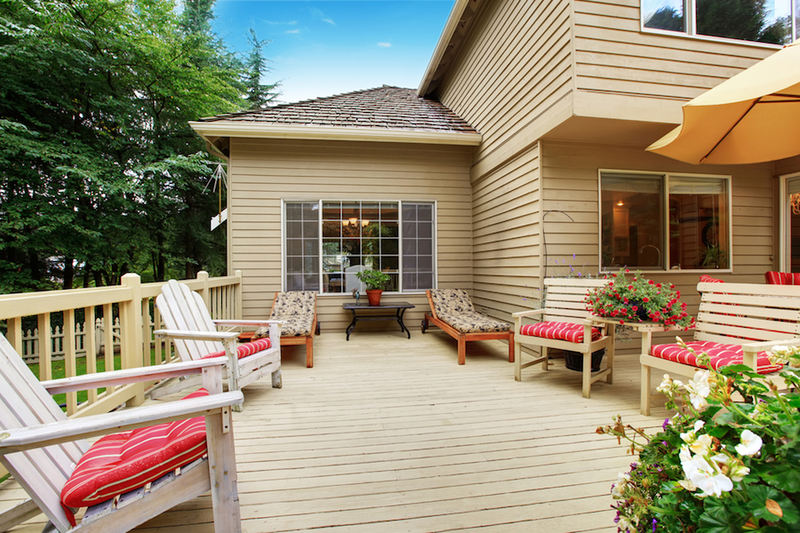 We hope these real estate photography tips help you succeed. Realtors are looking for professionals. Become one.